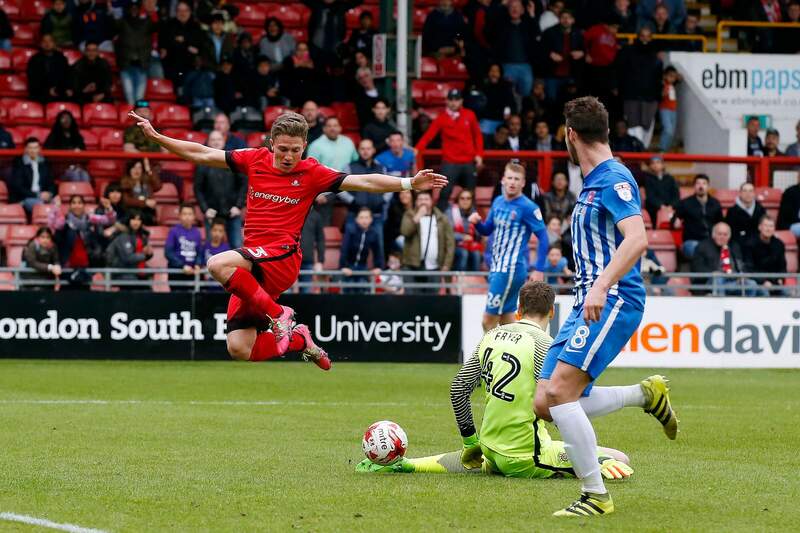 Leyton Orient are hanging on to league status by the skin of their teeth following a 2-1 win over third from bottom Hartlepool knowing a win was the only result that would keep them from not being relegated into non league football for next season. 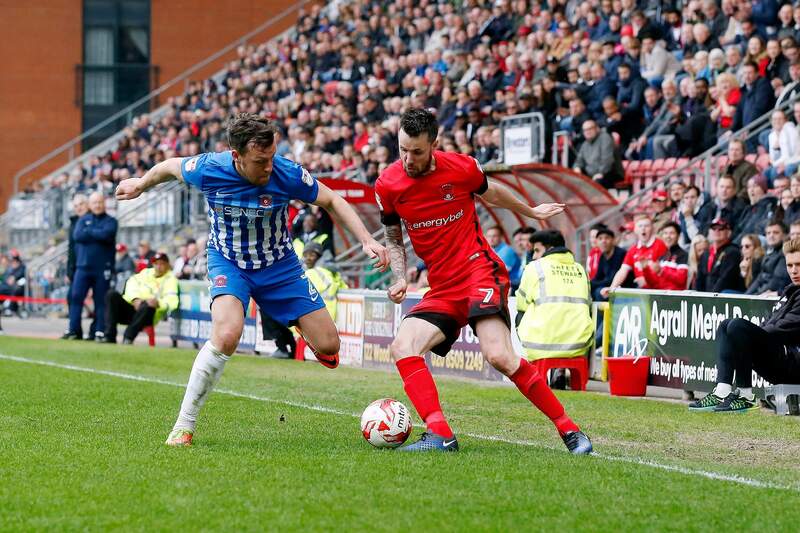 The Londoners have kept their slim hopes of avoiding relegation from League Two alive by beating struggling Hartlepool United in this do or die battle at Brisbane Road. They achieved the victory the hard way though when they went behind early on. Rhys Oates opened the scoring on eight minutes for the visitors when a poor header by O’s defender Teddy Mezague gifted a simple chance to the Hartlepool striker and he made no mistake. The O’s could have folded but very much like last week when they picked up a decent 2-2 draw at Luton Town they showed some resolve when goals from teenage duo Victor Adeboyejo and Tristan Abrahams gave them the all or nothing victory. First Orient levelled after 18 minutes when defender Michael Clark picked out 18-year-old Adeboyejo who stabbed the ball home at the near post. Abrahams gave the home side a deserved lead on 34 minutes with a wonderful left-footed strike from 18 yards and it proved to be the winner. The win leaves Leyton Orient seven points adrift of safety with three games remaining and another stay of execution. The match was played out to a background of protests against Orient owner Francesco Becchetti and, at the end of the game, supporters gathered on the pitch to vent their feelings against the Italian. Hartlepool, who remain above the relegation zone by just a point, saw Liam Donnelly sent off in added time after the defender picked up two quick bookings for dissent. It was a bitty game with too many fouls and interruptions and little class on show although the endeavour from both teams was more than visible. The home side saw 52% of possession, a big turnaround from the last few matches and managed 17 shots to Hartlepool’s 8 shots. Hartlepool stay in 22nd spot after this defeat and their 1-1 draw with Carlisle United on Good Friday. Former Orient player Jabo Ibehre had put the Cumbrians in front, but Rhys Oates’ second half curler saw Dave Jones’ side share the spoils. In the reverse fixture the O’s came out 3-1 winners against Hartlepool thanks to a double from Ollie Palmer and one for Sandro Semedo so Orient have taken all 6 points off Hartlepool this season. A pity that stat couldn’t have been repeated a few more times around the country. Wins for Cheltenham and Yeovil see those two teams almost safe from relegation in League 2. So it becomes basically a three horse race and sandwiched in between Hartlepool and Orient are Newport who were convincingly stuffed 6-1 by Plymouth so there is hope, not much but a little hope for the O’s. Orient are hanging by a thread to survival. Luton Town 2 Leyton Orient 2 April 14th 2017.